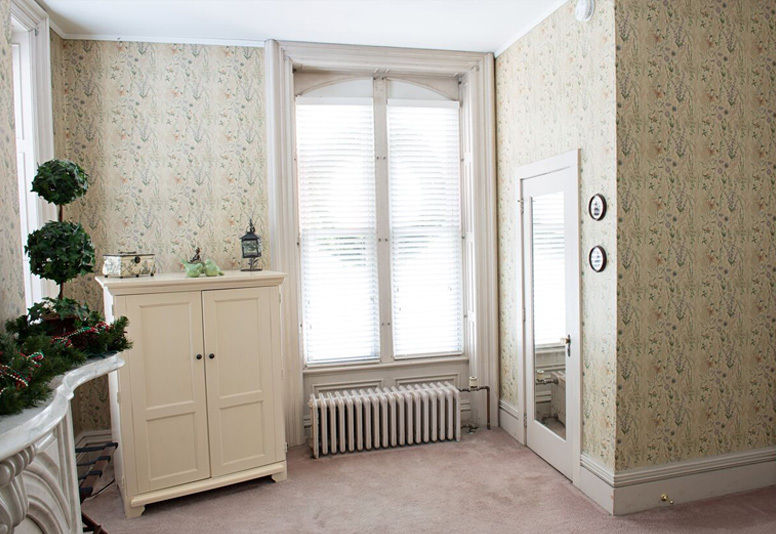 Our most popular guest room at the front of the mansion has a lot of natural light from four large windows. 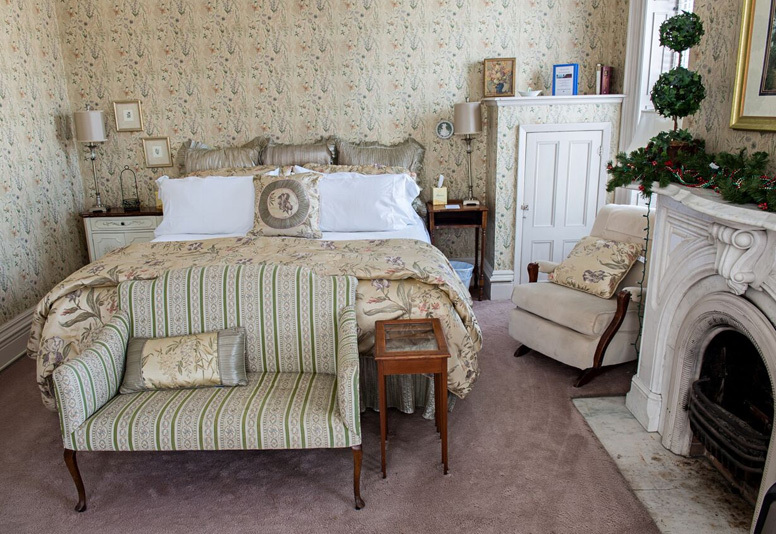 Soft green floral wallpaper and luxurious bedding on a king pillow top bed add to the restful atmosphere. Front windows overlook the town green. 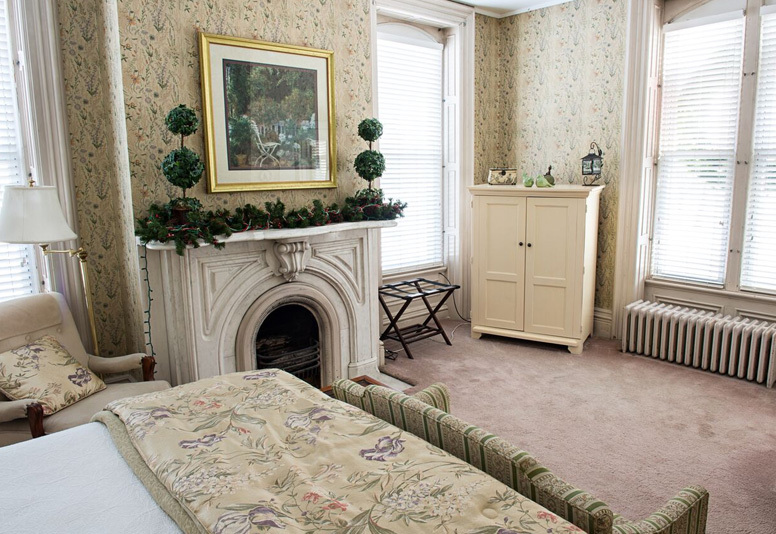 Relax beside the working marble fireplace in an antique upholstered rocking chair. A floral stripped settee sits at the end of the bed to provide more seating. In the corner beside the front windows is an armoire housing a flat screen color TV. The apple green shower bathroom is to the right.